Not only was it a tough year, but it came with the sinking realization that many more harsh years are to come. You can't blame Canada's oilpatch for turning the calendar early and putting 2015 in the rearview mirror. It was 18 months ago when the price of oil began to tumble from over $100 US a barrel to less than $40 this month. The crash has resulted in tens of thousands of layoffs, wage rollbacks, project cancellations and severe stress on the budgets of oil-rich provinces. Canadian oil and gas industry revenue is expected to finish 2015 almost 40 per cent below last year, dropping to $91 billion, according to ARC Financial. That amount is similar to the level experienced during the 2009 financial crisis. The pain is not going to go away any time soon. For some, that grim understanding may have come in March, when forecasters offered dim outlooks for the year. For others, it came in May when the oil glut hit two million barrels a day. 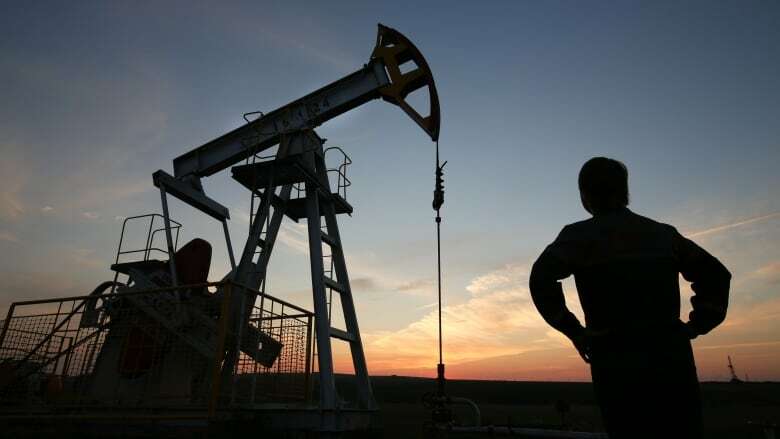 More bad news came in August when oil storage reached levels not seen in 80 years and the Canadian Association of Petroleum Producers said layoffs had hit 35,000 in Alberta. "There is not a sudden moment when we realized prices were going to be lower for longer," said Suncor CEO Steve Williams in an interview with CBC News. "There is consensus now that prices are going to be low and for much longer than people anticipated." In big cities and small rural communities across the province that rely heavily on oil and gas activity, home prices have fallen and revenues have declined at hotels, restaurants and other businesses. Oil companies are less willing to invest in long-term projects and unable to generate nearly as much cash flow. Many have had to announce several rounds of layoffs. "I think what is happening is weaker companies and stronger companies are going to separate. If you have a balance sheet where you have cash or have debt that you haven't used, you are in a relatively strong position," said Williams. "If you're a company that came into it without a strong balance sheet and you are not generating cash, some of those companies will not survive." With red ink on many financial reports, corporations have looked to cut any type of expense, even scaling back on Christmas parties and free pop at the office. Oil and gas players have also demanded better prices from service providers. Some oil producers have saved 25 per cent in costs from service companies this year. One oilpatch veteran said the pain felt in 2015 was a needed correction or reset for the Canadian oil industry to prepare itself for the future. "One of our challenges is in the good times we let our costs get out of control," said Charlie Fischer, the former CEO of Nexen. "We're not a low-cost producer any more, we are a relatively high-cost producer and those costs are across the board." Amid the plunge in oil, the political environment in which the industry operates underwent significant change in 2015. A spring election in Alberta ended more than 40 years of Progressive Conservative governments and brought the NDP to power. Acting on its election promises, the NDP raised corporate taxes, introduced a climate change plan and is reviewing the royalties that oil and gas companies pay. The oilpatch has watched every move closely. The climate plan, in particular, received both praise and criticism for putting a limit on oilsands growth and a price on carbon emissions. A fall federal election brought further change with the Liberals taking power from the Conservatives. The Liberals have already put a significant emphasis on the environment and pushed hard at the Paris climate conference for ambitious goals to reduce global greenhouse gases. One reason oil prices never rebounded in 2015 was that the oversupply of oil at the start of the year continued to the end. OPEC members have often used their strength as a cartel to pull back on production to prop up prices, but they are relinquishing that role as a swing producer. Earlier this month, OPEC abandoned the soft cap of producing 30 million barrels a day that it has had since 2012. The cartel is currently pumping out about 31.5 million barrels a day. That decision by OPEC is one reason why prices fell below $40 US a barrel this month. Global supply levels could rise in the next few months as Iran intends to increase exports by about 500,000 barrels per day once economic sanctions are removed early next year. As the holidays wrap up and those still employed in the Canadian oilpatch head back to work, there is little optimism about what the next 12 months will bring. The oilwell drillers are forecasting a historically brutal year with a 58 per cent drop in activity and a 57 per cent drop in employment since 2014. Following this month's OPEC meeting, Scotiabank Economics lowered its oil price forecast to no more than $40 to $45 US per barrel for 2016 and $45 to $50 US for 2017 for West Texas Intermediate, the North American benchmark. In the short term, prices could fall to $30 US. While global demand for oil is increasing, so too is production, and that's why the oversupply issue is not disappearing. The most common forecast has oil prices remaining flat for most of 2016, before climbing in the latter half of the year as long as demand keeps rising and supply starts to fall. The International Energy Agency expects oil prices to return to $80 US per barrel, but only in 2020. Fischer, the former Nexen chief executive, expects oil prices will remain largely unchanged in 2016, but he is still optimistic about the Canadian energy sector. "We have a resilient industry that sees a future," he said. "It's going to be less fun for the next year or so than it had been for decades, but we'll get through it and be better for it."